Home → Game Recaps → 2018 Season is Over. Thank You! 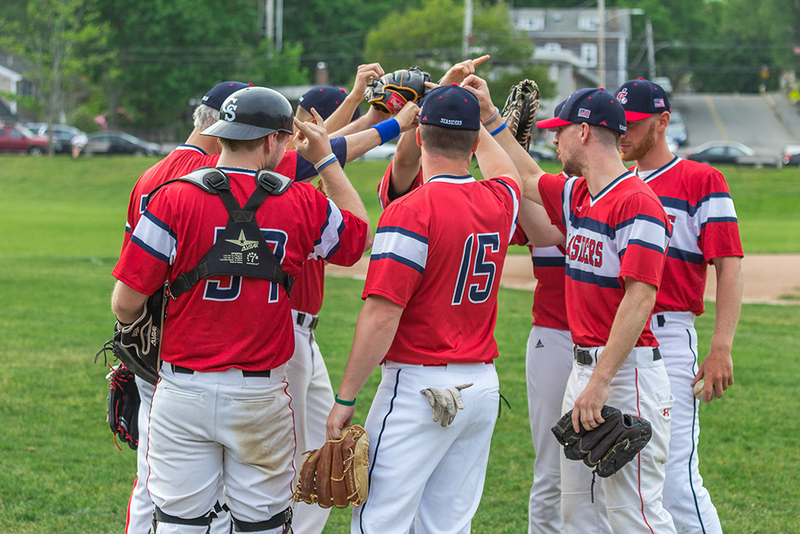 Last night with our loss to Swampscott and Manchester’s win over the Phillies we are officially out of the playoffs. Losing our last 7 games and only scoring 7 tuns in these games did us in. Our third season didn’t end well, but there is a lot of hope for next year. This year we just couldn’t over come injuries and missing key players at the end of the year. Losing six players from last year’s starting lineup was also a blow. As I told the players, we need more committed players, and as always more pitching to aim for a winning season in our 4th year. We may not have had a successful season on the field, but your financial contributions were very gratifying. THANK YOU! It means a lot to me to have your support. Thanks to Bob Till for his check this week. Thank you to the over 40 of you that put them out. I guess it’s time to put them away! Let me know if you’d like me to pick them up. To Bill Richardson who faithfully put out our game day sandwich boards for our 12 home games. Also to Greg Snow and Bobby Gillis of the Park Department for the great job they did getting the best park in the league ready for us this year. I’ll be back with a more detailed thank you and an accounting of where your donations went. See you at Seaside Next Year!